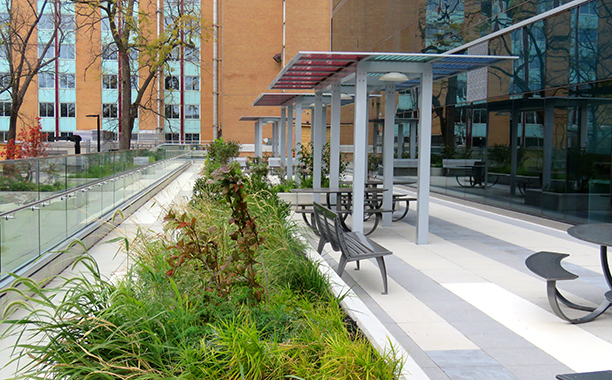 Joseph Brant Hospital - PMA Landscape Architects Ltd.
PMA Landscape Architects was part of the Ellis Don design build team for the Joseph Brant P3 Infrastructure Ontario project. 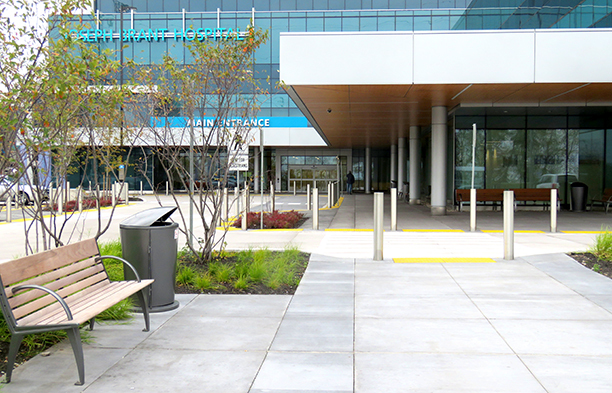 The project involved a new hospital building and main entrance to the Joseph Brant Hospital. The existing hospital was upgraded as part of the expansion plans. 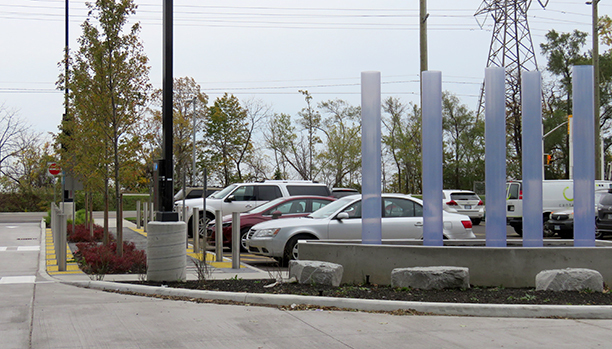 Working with Adamson Associates, PMA was the landscape architect on the team responsible for the new entrance and drop off plaza design. 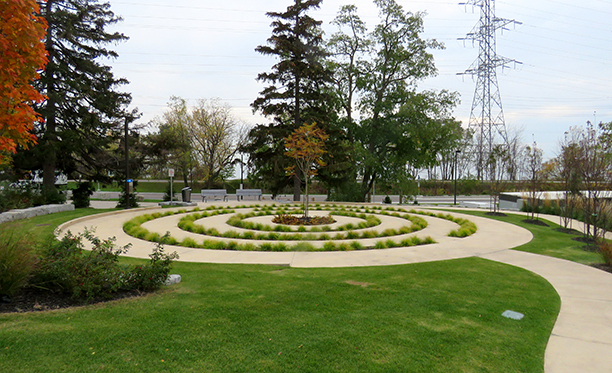 The plaza design also included a unique water feature and new tree planting. 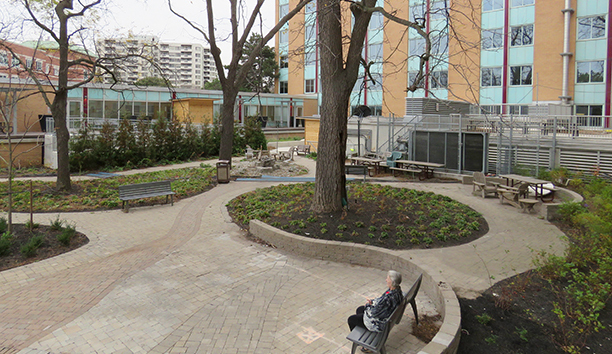 The landscape design also included a new wellness terrace, mental health exterior space, a labyrinth, staff patio and new connections throughout the site to adjacent properties and woodlot.